Welcome to your Topproperty Student Homes house! 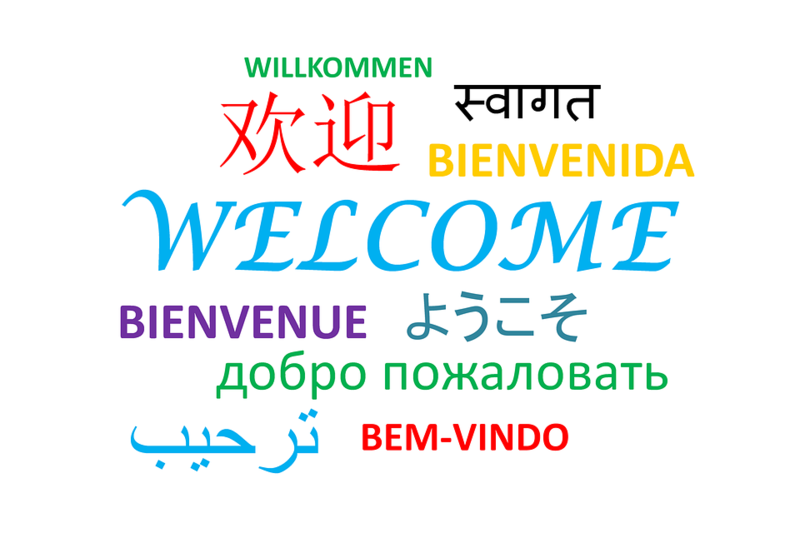 We hope you will enjoy your time in one of our student houses and that your stay will be successful here in Liverpool. 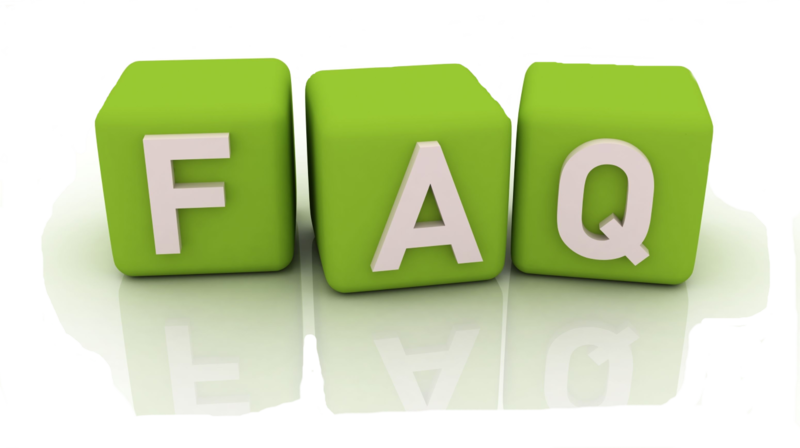 Please take some time to browse through these Q&As - there is useful information here that'll help you understand your responsibilities as tenants and will make your stay with us a happy one. There is some additional information on the student guide. While you are renting from us there may be some charges. These are generally charged when you have been in default in some way; losing your keys (necessitating new keys) and rental payments are the main ones. Please note that this is due for an update from April 2019 due to the Tenant Fee Bill. It is anticipated that most charges will fall under the "Services provided" category so will remain. Charge for replacement of keys: As per cost of key and reasonable costs for time to get cut. • Individual Room: As per direct cost of key and locks and reasonable costs for our time to arrange. • Front or Rear door: As per cost of key and reasonable costs for time to get cut. Please note that reasonable costs may reflect time to get all keys cut and distribute keys to all tenants. • Out of hours callout to property to unlock house/room for you (lost keys out of hours/weekends): Please contact the out of hours number. As per contractors invoice, settled with contractor directly (normally, but not guaranteed to be, £80 for a weekend/night callout). • 3% above the Bank of England base rate for the period the rent is overdue. • Rent arrears requiring legal action against tenants/guarantors for recovery: Subject to tenancy agreement being signed prior to 1st June 2019; Solicitors legal fees, any court fees, and interest at the statutory amount of 8%. For tenancy agreements entered into after 1st June 2019, subject to court decision on fees and interest. • Cash : Not Accepted (we operate a cashless office and do not have facilities for holding cash). • Tenancy Renewals from 1st June 2019 are at a cost to the landlord. They will only be entered into on the request of the tenant if the landlord agrees to this charge. Note: We allow all tenancies to roll on to a periodic tenancy (contractural periodic). If you request a new tenancy agreement we will seek the agreement of the landlord. If the landlord requests a tenancy renewal this will be done at no cost to you. Yes! While there is no legal obligation to insure your belongings, while you are resident there is no insurance for your contents provided by the us landlord. We can recommend Endsleigh insurance. We strongly recommend you take out insurance while you are renting. The property and the landlords contents will normally be insured by the landlord. Please adhere to the points below to reduce your chances of being a victim of burglary. Any other security measures that you can think of should be put into practice. Do not underestimate the importance of these procedures as they could prevent you from becoming a victim. • Close and lock (where possible) all windows when there is nobody in the house and the property is empty. From our experience windows left open is the number one entry point for burglaries in shared houses. • Set the intruder alarm when leaving the property empty. • If bedrooms have locks, lock your door with your individual room key. • Lock front door and check back door is locked before leaving. Do not rely on the night latch (sliding bolt lock) and do not rely on just closing the door - even if it appears secure, on the majority of doors, without the handle being turned and key turned in the lock to engage the lock it will not be secure. • Hide valuables (laptops, tablets) or take them with you when you go away. • Report anything suspicious to the police immediately. • Consider leaving a light on if the property is going to be empty for more than one consecutive evening. Do not leave the television running. • If you are leaving the property for more than 14 days contact TopProperty Lettings to inform them that the property will be empty and when you intend to return. We accept payment by card - either online or in our office - and by standing order, and direct bank transfer. In exceptional circumstances and by prior arrangement we may be able to take cash however please see the charges section above for details. You can set up your standing order with your bank using the above details. You can also ask us for a standing order form that you can send to your bank. This remains under your control and you must take responsibility for the setup and maintenance of the standing order, including termination of it after the last payment is made. Our office days are Monday to Friday. Full office hours are outlined at here. Please note that we are not open outside of these hours. We are always available via email or via our website. You can contact us via the online form here - please select the type of query you have. This will direct your query to the appropriate member of staff. You can raise any maintenance queries via our online issue reporting tool here. You can always write to us at the address specified here or at the bottom of the website. How will I know if I have overspent? If you have exceeded the set limit you will have to contribute towards the overspend. Your landlord will generally monitor the utility usage throughout the year. If there is an excess spend the landlord will generally let us know and we will inform you. If this is the case, you will need to contribute towards the cost. In some situations the landlord will notify you of overspend and give you the opportunity to reduce usage to bring the cost down for future months. What are the inclusive limits? For inclusive houses there are set limits on usage. This is based on a per monthly cost and includes Gas and Electricity and Water. The use of Broadband or TV license is not included within the inclusive limit. 3 beds: £120 per month. 4 beds: £130 per month. 5 beds: £140 per month. 6 beds: £150 per month. 7 beds: £160 per month. 8 beds: £170 per month. 9 beds: £180 per month. 10 beds: £190 per month. For specific details please see your contracts. There are some things you can do to help you to use the energy efficiently. • Do set the heating to come on and go off once in the morning and once in the evening. • Do not have the heating on 24/7 - use the timer on the boiler or thermostat with settings for your use of the house - eg, on for first few hours in the morning before you leave for uni and also in the evening. • Do not have the heating on during the night. This is bad for your general health and comfort and ventilation of the house. • Ventilate the house to manage humidity levels (to avoid condensation problems) but avoid having windows open full while the heating is on. • Under no circumstances use portable fan heaters unless authorised due to failed central heating (and as part of a short term solution while the heating system is repaired). These are expensive to run which may result in a utility overspend charge and present a genuine risk to property and life through fire. • At all times we ask you to be mindful of the energy you are consuming and to use it responsibly. What do I need to move out? To move out at the end of your tenancy, you will either a) give notice (professional lets) or b) move out at the end of the fixed term (student houses). • You will need to ensure you close down any utility accounts you have in your name. • You will need to notify the council if you are a council tax payer and you are paying council tax and make sure the account is fully paid up. • You will need to ensure the bedroom furniture is in the same location in the house as before the tenancy. • Empty the bins in the house and ensure the rubbish is put out and the refuse bin returned to the property. • You will need to return your keys to Topproperty Services. As part of our checkout process at the end of the tenancy we perform a closing inspection/checkout on the property. This includes any defects in the property for the landlords attention, as well as any areas where damage has occurred. We will note if it appears to be beyond normal wear and tear. The landlord will consider the report, and decide if any charges need to be made. For bills inclusive contracts the landlord will also look at energy consumption to ensure you have not exceeded your inclusive allowance. We will then seek your agreement for any charges to be deducted from the deposit. If agreement cannot be reached the deposit scheme used (either the custodial DPS or the insurance backed my|deposits) will have a dispute service that can be used, subject to both parties agreement. Send a quick email using our online form. Pay your rent here - 100% secure and convenient! Quick and easy, report your maintenance issues here. Everything you need to know about applying for a house! Complete your guarantor application here. Our online form takes you through the steps to a new house! Download a sample copy of our standard tenancy terms, including guarantor pack. We are now using the FixFlo system for all repair reporting. Please use the Report Repair button which will take you to our Fixflo site. If you have any questions there is extensive help on our Fixflo site. Please feel free to feed back any comments to us using our online email form. Locate the house you wish to apply for and click on “Apply for house”. All houses are ordered by house size. We do show “Let Agreed” houses as your friends may have already started applying, or you may be replacing a group member in a house. If you can’t find the house, do a search for the house via the Find A Property link above, then click on “Reserve this house now”. Any problems, use the live chat and we’ll get back to you! From 1st May we are offering RESERVE YOUR HOUSE FOR £70 EACH! Due to legislative changes coming in from 1st June, holding deposits are being capped at no more than one weeks rent. We are bringing this in a little earlier so you can benefit from this and reserve a house for less money up front. When you apply for a house from the 1st May the deposit you will need to pay will be £70 each. The lead tenant will need to make this payment. Once contracts are signed, you will need to pay the balance of the full deposit, which remains at £200 for tenants with a guarantor (so a balancing payment of £130), and £300 for those without a guarantor (so a balancing payment of £230). 1. Through the topproperty-services.com website. We list every single house on the website and properties are removed as soon as they are let, leading to an up to date list of houses. You can book either through the diary system, automatically entering the appointment, or by asking us for more information. We will then book you into a slot convenient to you. 2. Via phoning us and booking in a viewing. Note: We always prefer appointments to be booked in online. 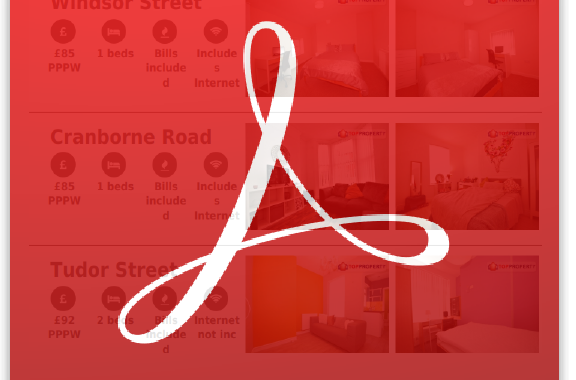 You can add in the properties you most like, and at a time convenient to you. All available slots are shown, so you know someone will be available for that time. Once you book that slot, no-one else can. You can apply for a tenancy in the Apply for a Tenancy area of our website. The process is a basic process of submit tenancy details (including house you are applying for!) and making payment. This is all available on the Apply for a Tenancy area linked above. While you are renting from us there may be some charges. The charges are allowed - from 1st June 2019 - are strictly prescribed by the Tenant Fee Act. Until the 1st June 2019, a tenancy application fee for student tenancies of £80 inc VAT applies. After this date there will be no charge.
. Until the 1st June 2019 Residential tenancy applications will be £150 including vat for a professional application and £200 inc VAT for more than one professional tenant on a tenancy. After the 1st June 2019 there will no fees applied for tenancy applications. Fees that are not proscribed by the Tenant Fee Act are generally charged when you have been in default in some way; losing your keys (necessitating new keys) and rental payments are the main ones, or other breaches of the tenancy agreement. No charge made. For "partial" re-lets (where one or more person changes) we will need to take a new deposit from all tenants as it will be a replacement tenancy. For student tenancies we always require guarantors. We are aware that in certain circumstances you may be unable to obtain one - this is for example overseas students. In this cases we may ask for six or more months rent upfront. However please speak to us and we will see what is most suitable for your circumstances. Guarantors need to be based in the UK (eg working or living in the UK) and meet income criteria. This is all detailed on your tenancy application pack. What is the criteria for guarantors? • and has a minimum gross annual income of £20,000 (subject to rent level being guaranteed). Higher rent level being guaranteed may require a higher income. The guarantor is someone who is willing to pay your rent if you are unable to. They should seek legal advice before entering into any guarantee. Copies of the tenancy agreement will be provided before you sign the guarantee document. Once you have applied online and made your deposit and application fee payment we will draw up the guarantor and contract paperwork. The guarantor paperwork will be passed to you to enable you to get it completed by your guarantor. We will then credit check the guarantors and perform our checks to ensure they meet our criteria. Once that is done we will ask you to come to our office and sign the tenancy. 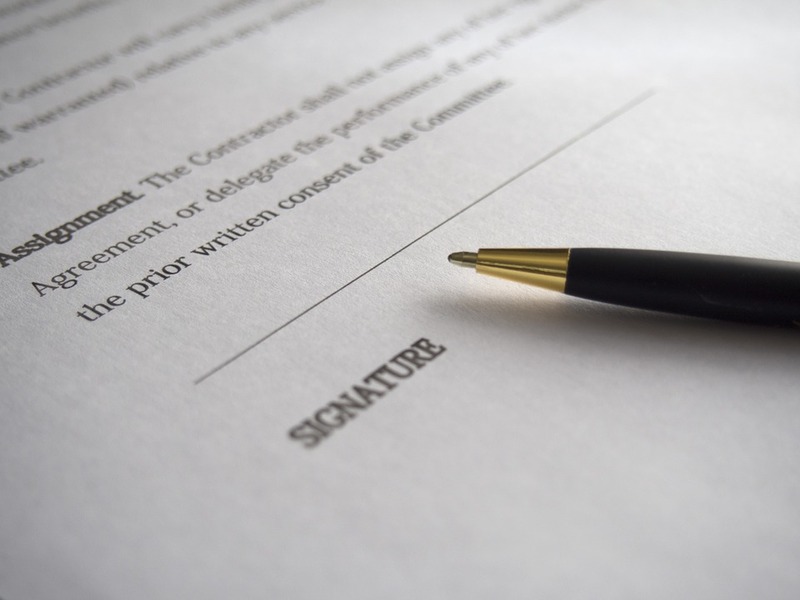 In certain situations - for example if you are overseas - we will send the contracts out for electronic signing. My rent isn't right on the contract! If your rent doesn't seem to work out on the contract, it's normally because you are working the monthly rent out based on a four week month. For example, £75 per week looks like it should be £300 per month (based on four weeks a month), but its actually closer to £325 per month. To work out the rent, multiply the weekly rent by 52 (weeks), then divide by 12 (months). Or, for a quicker way to do it, multiply the weekly rent by 4.333. If we have made a mistake please let us know so we can amend the contract. Do you charge a retainer over summer? We charge a retainer which is equivalent to 50% of a normal full rent, for the months of July and August. Your first rental payment which will include this retainer will be due on the 1st July. Under very limited circumstances it may be possible to move in during the July/August period. This is fully subject to availability of the property and any scheduled refurbishment work and other circumstances. Full rent will be due from the date you move in. What documents do I need to give you? Additionally, from 1st February 2016 we are legally required to prove you have a right to reside in the UK, either as a permanent right (most UK and EU nationals) or a limited right to reside. Providing all paperwork has been returned for all members of your group, and contracts have been signed, we can schedule a move in date. Typically move ins are scheduled for the 1st September. Under very limited circumstances it may be possible for you to move in over the summer months - this is fully subject to the property being available and relies on factors that may be outside our control and as such we cannot guarantee the property is available for moving in over July/August. Can I store my belongings in the property over summer? Due to security and insurance you cannot store belongings in the property over the vacant summer months. We have work carried out over the summer by contractors, often under direct instruction from our clients, and we cannot guarantee the safety of stored items, and the inadvertent disposal of items is a risk. We can recommend Yellow Box Storage on Edge Lane - available here. What is the last date I can move out by? The last date you can move out is the 30th June. We often have groups moving in or moving belongings in on the 1st July, so need to know for sure that we will have the house back by this date. We always issue a "Section 21" notice in April that notifies you of the move out date - this is to protect the landlords position and is nothing to worry about - it just informs you that the tenancy will end on the June 30th and you need to vacate on that day at the latest. Before moving out you must return the property to it's move-in condition. There will be an allowance for fair wear and tear, however the property must be cleaned to the same standard it was when you moved in. Are you accredited with the university? We are registered with Liverpool Student Homes. All properties under management are registered with Liverpool Student Homes. In the rare cases where a house is not it is usually because it is a new property under refurbishment and we are awaiting the property being signed off and certified for gas and electrical safety. This is generally only done at the end of refurbishment. We are happy to provide copies or gas and electrical certificates, as well as Energy Performance Certificates. Are you registered with any official bodies? We are registered with TPO - The Property Ombudsman. This is a code of conduct that we have to follow. Thus gives you redress in cases where you feel you have to raise a complaint. 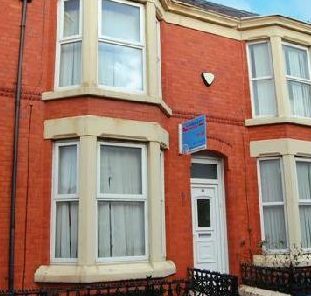 We are also registered with Liverpool Student Homes as well as corporate members of the Residential Landlords Association. We treat our role as managing agents very seriously and continuously progress our staff with Continual Professional Development training and the owner of Topproperty Servides is a member of Liverpool Councils Landlord Advisiory Panel, helping Liverpool Council in raising the standards in private rented accommodation. Under the Housing Act 2004 all deposits paid for Assurred Shorthold Tenancy are required to be protected under a tenancy deposit scheme. We are members of the Deposit Protection Scheme. You can visit the DPS website here. Some properties have different deposit protection - my|deposits, which is also a prescribed deposit scheme. Your deposit will always be registered in one of these two schemes. As part of your application you will be given information about the use of the deposit. This is legally required and called "Prescribed Information". Due to changes coming in from 1st June 2019, there is a change to the deposits paid. We will now charge one weeks rent (or less) for the initial holding deposit, with the balance due once the tenancy agreement is signed. Once we have received the full deposit for all tenants the deposit will be protected within the statutory 28 days period, and prescribed information will be sent to you. We have an out of hours contact number for emergencies. We will give you this number when you sign the contract. Routine repairs are best reported via the online tenant area here. If you are unable to report repairs online please call us. We have a team of dedicated contractors who work on our properties full time. They can attend any maintenance issues as required once issues have been raised. What happens if we pull out of a tenancy application? If you decide you cannot take a house, you can withdraw from the application. Note that once the tenancy is signed, you are committed to renting the house; there is no cooling off period in law for a tenancy agreement. • Where the Tenant(s) provide(s) false or misleading referencing information and it is reasonable for the Landlord to take this information into account when deciding to grant a tenancy. • Where every effort has been made by The Agent in entering into an agreement within the agreed timescale (normally 21 days) and the tenant has failed to comply with reasonable requests for information or document completion. • If the tenant failed a Right to Rent check (eg have no right to rent in the UK).